WHAT: The University of Missouri will hold MU’s first New Shooter’s Workshop for shotgun sports for people with no previous firearms experience. Those who participate will learn about recreational opportunities with sport shooting and trap shooting as well as how to handle and aim firearms safely. Around 19 million people in the U.S. participate in recreational shooting, with nearly 600,000 jobs tied to sport shooting, fishing, hunting and wildlife. WHO: The event is hosted by the University of Missouri School of Natural Resources’ Department of Parks, Recreation and Tourism at River Hills Sporting Clays in Boonville. Thirty community members registered for the first session, including some who have never used a firearm, to learn to shoot as a recreational sport. Along with the MU Department of Parks, Recreation and Tourism, the event also will be sponsored by the MU School of Natural Resources Alumni Association, Midway USA Foundation, the Mizzou Shooting Team and the Missouri Department of Conservation. WHERE: River Hills Sporting Clays, 22701 Rocheport Road, Boonville, Mo. WHEN: first session:10 a.m. – 12 p.m., second session: 1 – 3p.m., Sat. Nov. 6. NOTE: The first session is full and the second is filling. 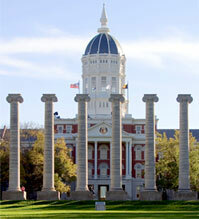 For more information, please visit http://snr.missouri.edu/events/shooting/index.php. To get in touch with River Hills Sporting Clays in Boonville, call (660) 882-9130.